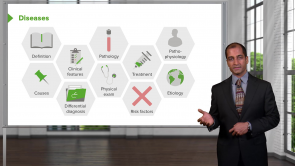 Emphysema – Online USMLE Prep Course | Study with Lecturio! This course covers everything you need to know about Emphysema. Emphysema is a condition characterized by the dilation of air spaces, with decreased elasticity and increased compliance, due to alveolar wall destruction; capillaries are also destroyed along with the alveoli. The most common cause for developing emphysema is smoking. 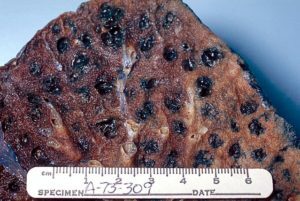 Alpha-1-antitrypsin deficiency may also result in the development of emphysema. I would never get it without you, Dr. Raj! Thank you soooooooooooooo much!!!!! !